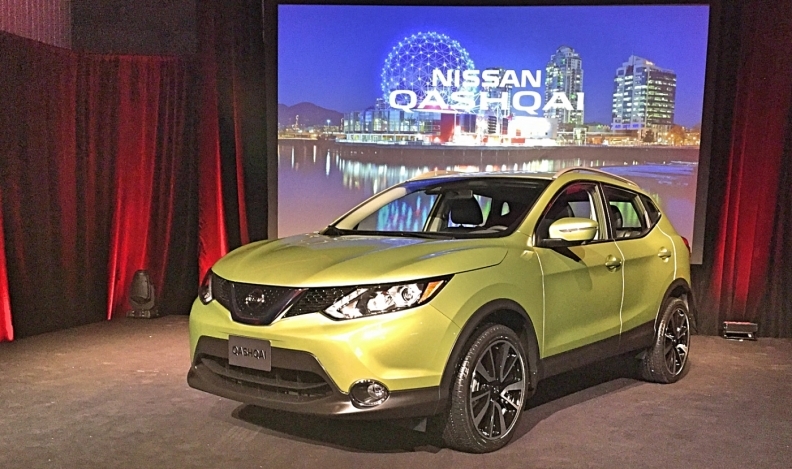 Nissan's latest vehicle is called the Qashqai in Canada but Rogue Sport in the United States, another example of the company's "Canada-centric” strategy. Editor's note: Joni Paiva became Nissan Canada president in January 2016. TORONTO -- When Joni Paiva became president of Nissan Canada in January 2016, he wasn’t about to mess with four consecutive years of sales records by mixing things up. Paiva said on Feb. 17 at the Automotive News Canada Congress that he looked around and decided to change not one point of the overall corporate "Canada-centric” strategy that was responsible for the past four years. Pavia said the turning point for Nissan’s surge was the management team’s decision in 2013 to go “Canada-centric,” tailoring its cars and models more specifically for the Canadian market. He cited as an example the made-in-Mexico Nissan Micra. Nissan’s U.S. arm had no interest in the subcompact, but in Canada management thought the global car would do well. After ordering a few design upgrades including better suspension, a 60/40 rear split seat for hockey bags and sticks – and a sub-$10,000 price tag ($9,998) – Nissan sold 7,815 units during the eight months it was available in 2014. The automaker then sold 11,909 in 2015 and 9,996 in 2016. In part by getting its own successful racing series, the Micra Cup. Crucial to the Canadian strategy is also recognizing the distinct regional markets. Canada is not one single market, said Paiva, adding that the automaker takes a “surgical approach” to carving up the sub-markets and making sure they’re attended to. He said it also doesn’t hurt to have a runaway sales success in Nissan’s compact Rogue utility, the fourth-best selling vehicle in Canada in 2016 with 40,055 sales, up 11.8 per cent versus 2015 with 35,841 units, trailing only the Ford and Ram full-size pickups, and the Dodge Grand Caravan.